How to make a wreath craft show display is also a great way to store your wreaths. If you are a fellow wreath maker like me, then I know you crave more storage, crafting space and smarter storage solutions. 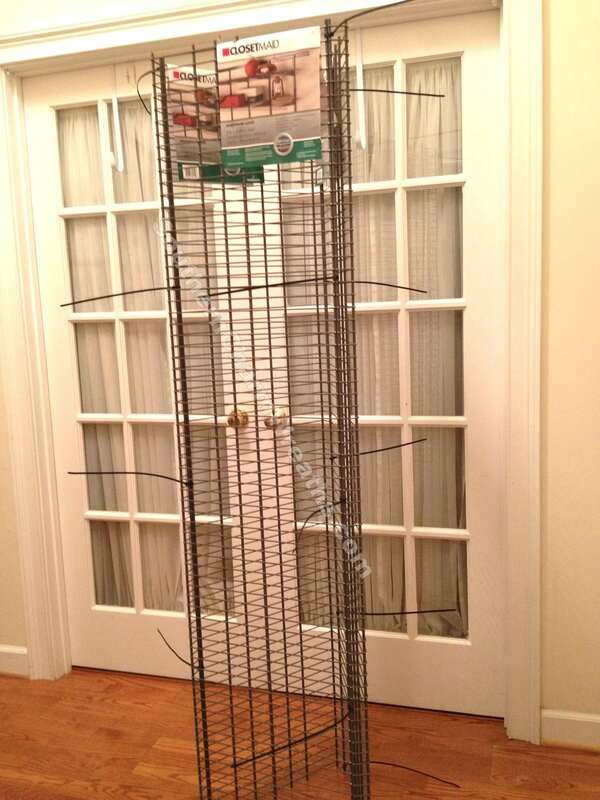 I want to share with you my idea for storing my wreaths until I sell them. 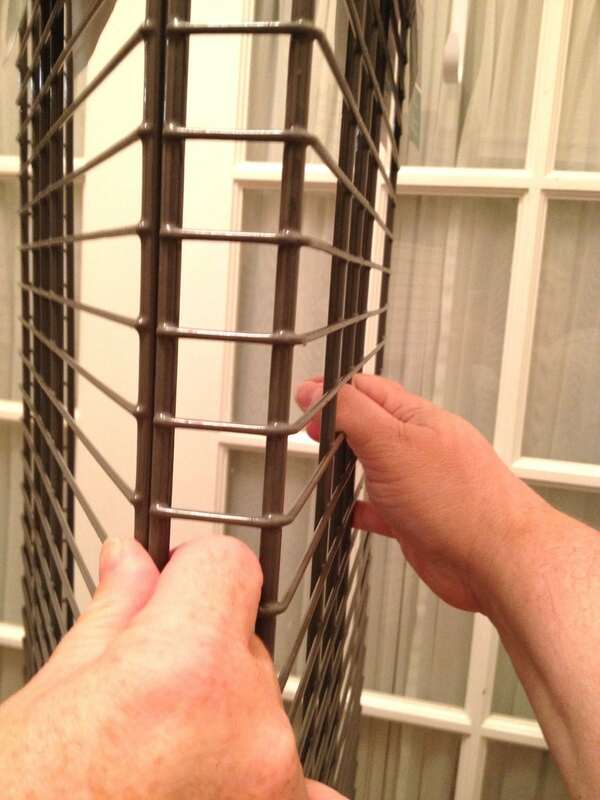 It’s so easy and no tools are required! 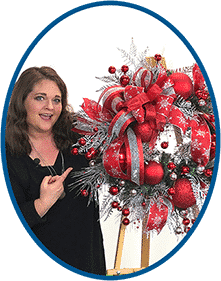 This display would also be perfect for displaying your wreaths in craft shows; you can easily disassemble and reassemble as needed because this requires no tools. This took me 15 minutes to construct and cost less than $50. I use four of these in my home which helps, I really need to make more and use only during the busy fall and Christmas seasons. 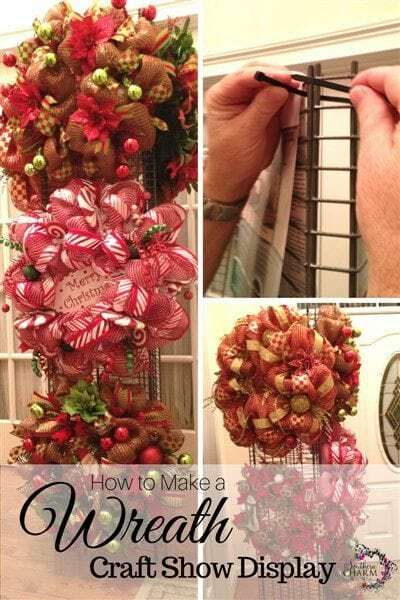 How to make a wreath storage/craft show display. 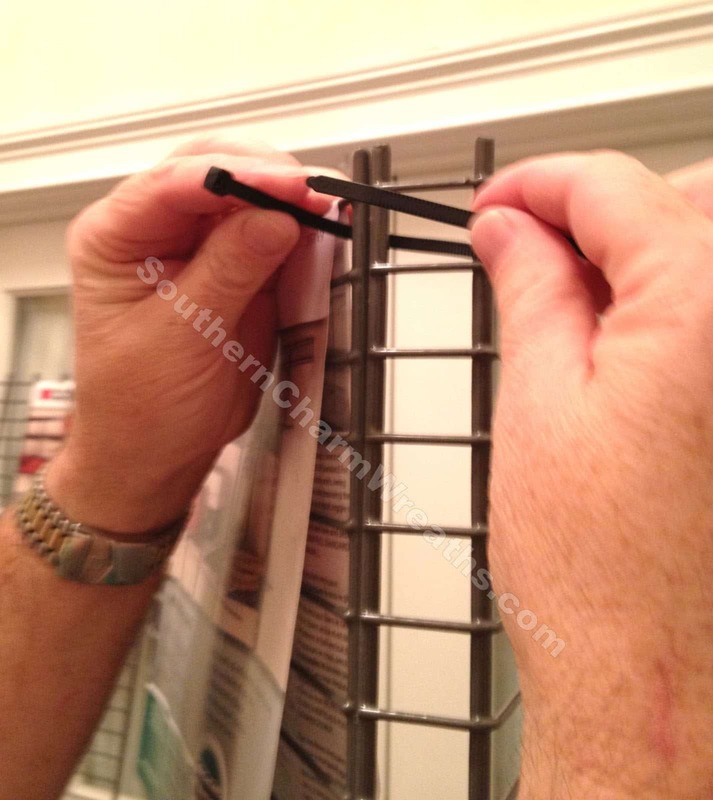 Line up two of the shelves vertically side by side and use cable ties to secure tightly in 5 places. I secured 1 on the top, 1 in the middle, 1 on the bottom, and then in between those areas for a total of 5 ties. Side one should look like this. 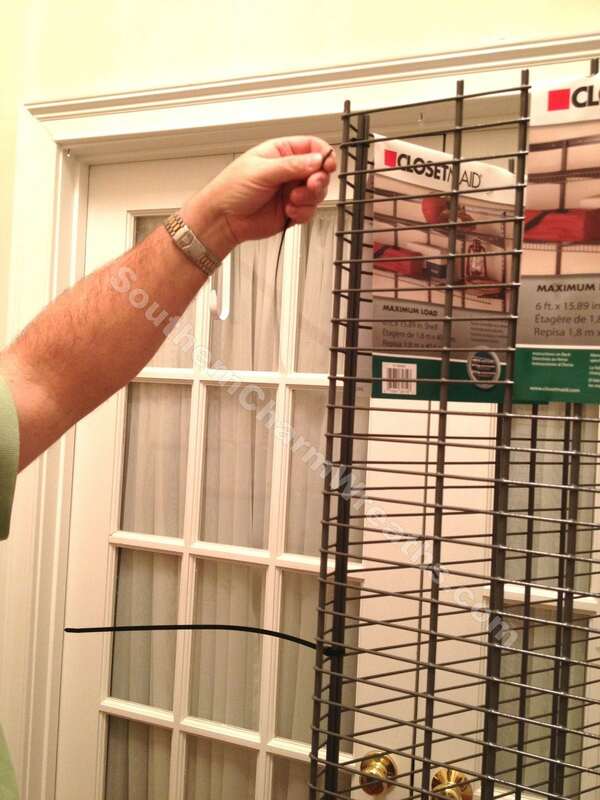 Now attach the third shelf to the two just connected, again secure in 5 places using cable ties. Note: I attached the cable ties in the same areas all the way around. Your display should now look like this. 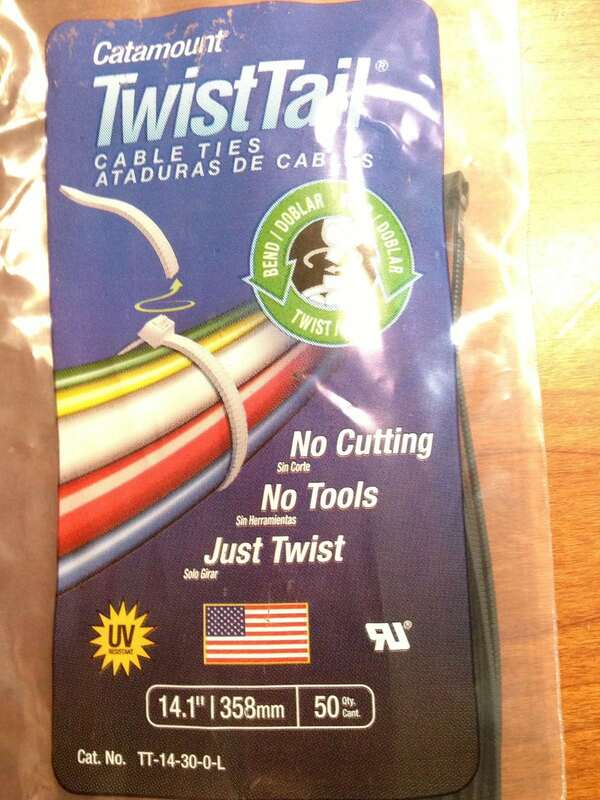 Now twist off the excess cable ties. 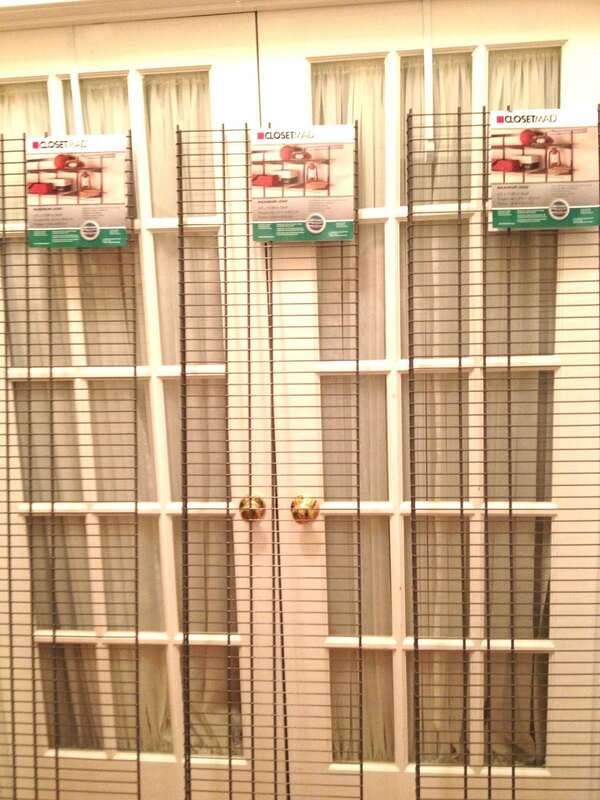 Now you can use the “S” Hooks to loop onto your wreath hangers and attach to the shelving grids. The feet on the bottom of these shelves are already covered with protective coating from the shelving unit itself so it won’t scratch the floors. 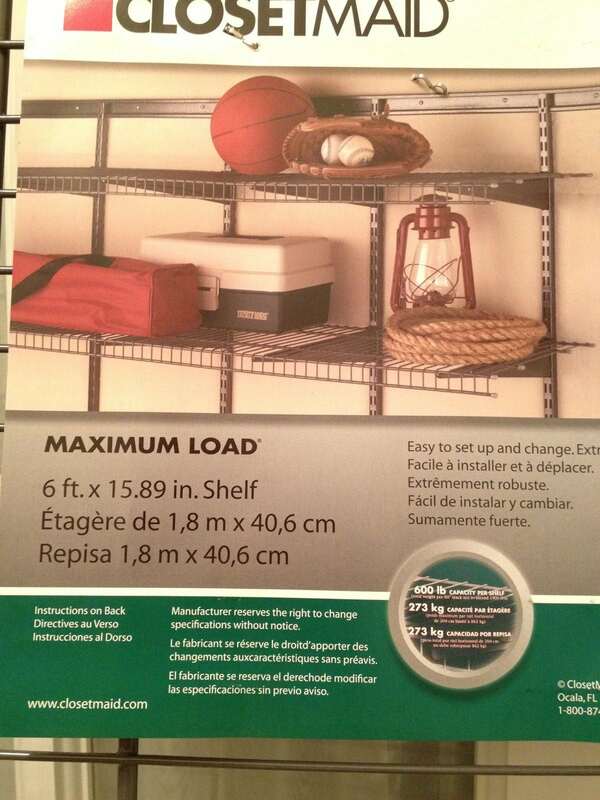 I found this display to be very sturdy and level. I was prepared to use a 2′ x 2′ square piece of plywood and drill holes into in order to zip tie the display to that for a stable base, but I don’t need to. It’s sturdy on its own. 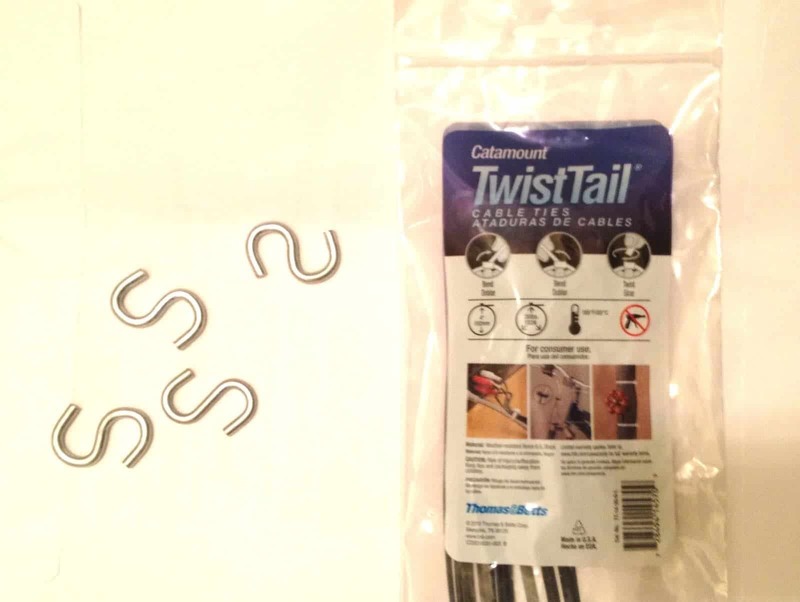 Like I said, these would be great for using during craft shows alone or combined with other display methods. If using for a craft show, you should weight the bottom so that the wind doesn’t blow them over. To anchor the bottom, get a piece of 2′ x 2′ or 3’x3′ plywood and use screw clamps to attach to the wood. What do you think? I hope this was helpful to you. 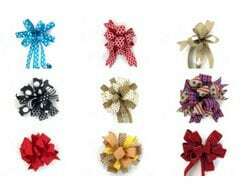 I store my wreaths on these until they are sold. 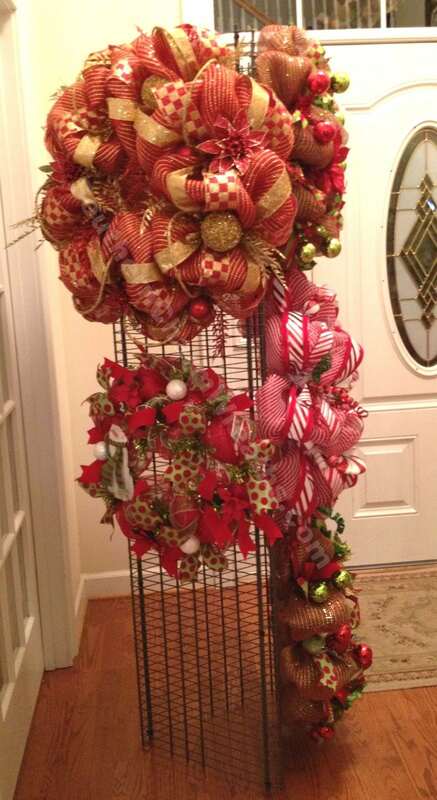 What are your wreath storage ideas? Thank you for taking the time to share all of your videos with others. This is such a wonderful idea and one that I will certainly use immediately! God bless you for using your gifts to help others. Julie this is brilliant 🙂 This will be perfect for when I move to my mom’s and turn her basement into a work space. I love this idea. I purchased a home in January and I plan to use this idea in my garage. What a wonderful idea! And I actually have some of these that were leftover from a closet organizer that didn’t quite fit right. LOL! Love this! Do you think it would work as a four panel display to be used as a wall backdrop/divider? If the wreaths were not as wide or the shelves were wider, it should. I finally was in a craft fair on Oct. 19, 2013. 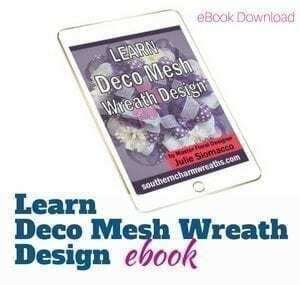 I had 10 deco mesh wreaths since it was a small one. I used your idea using the medal shelves. Great idea. I only sold 4 of my wreaths. I was pleased being my first fair. That is fabulous! Thank you for sharing these ideas with us. I appreciate all the “extras”. What an awesome idea. Thank you for sharing and keeping us up to date with all these ideas. My husband made these same displays for me to use at Craft Shows and they work wonderfully. 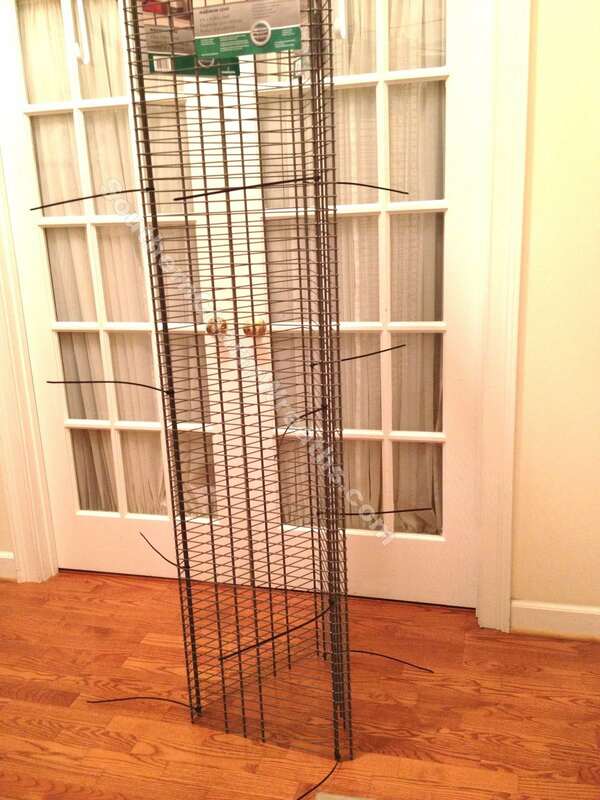 I also use these displays for storing my wreaths. Thank you Julie for sharing your ideal for the displays. I have a craft show in April and I was needing something to display my wreaths on. I didn’t know what I was going to do so Julie you saved me a lot of worry. Thank You so much for your helpful advice. Awesome Theresa! Glad I was helpful! 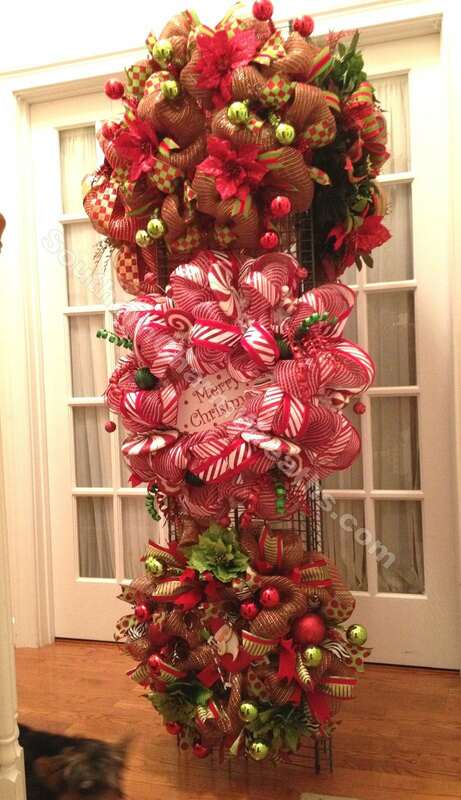 Thanks for the great idea for displaying wreaths at a craft fair. What do you store the wreaths in for transportation to the craft fair? That is my biggest concern. 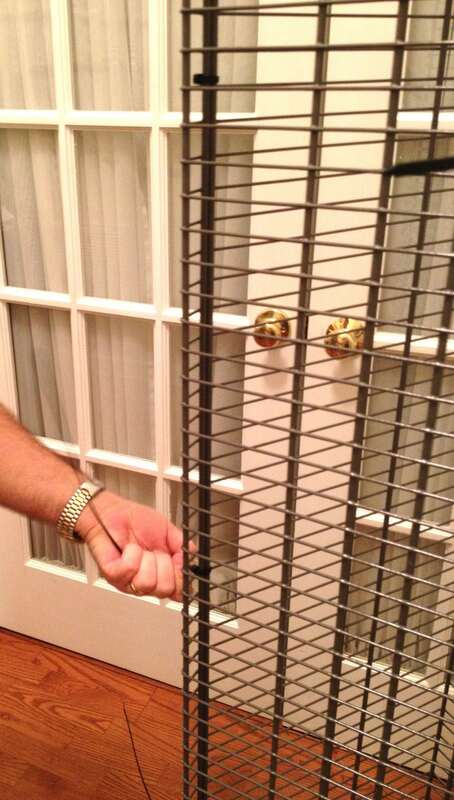 How would you secure these to the ground for an outside event? Oh, BTW this was/is a genius idea. What a great idea! Thank you so much for sharing. I was looking for someway to display my wreaths and this is perfect. You are so creative and your wreaths are absolutely beautiful. I love the Easter decor you used in the Easter wreaths. Is your place of purchase available for the public? Thank you again for sharing! 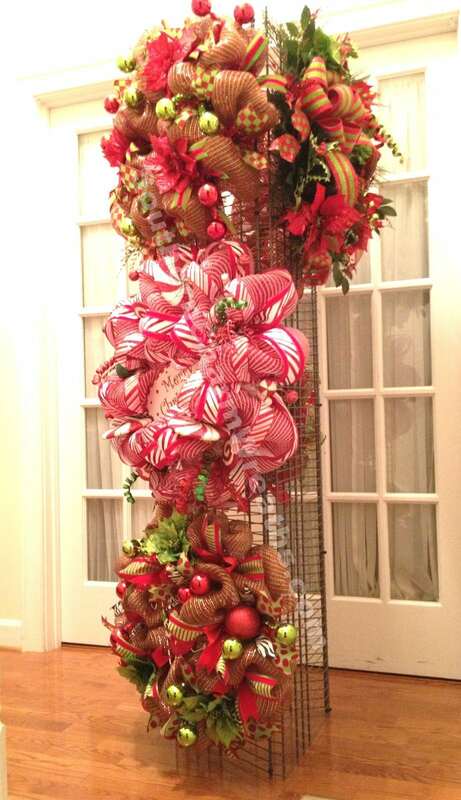 Thank you for sharing your creative ways to display wreaths. I purchased the shelves in white and connected them, but I only did two. Love your ebooks and your updates. I can’t wait to try this great idea!!! I have a craft show 12-3 in Sparta N.C. I can’t wait to try this!!! I was so worried about space! Thank you for this wonderful idea! I made a four sided one to use in my craft room for storage of my own holiday wreaths. Thanks for the idea! This is a wonderful idea, I love it for an inside craft show. You are amazing Julie! Thanks so much. Thank you for this great idea! 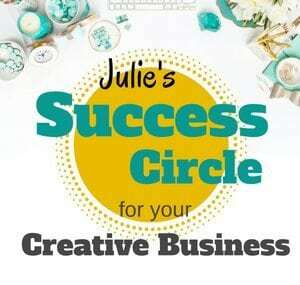 I’m getting ready to try to sell my first group of wreaths at a small craft fair for the first time. This solves my problem of how to display them vertically in a small area without taking up a lot of space. 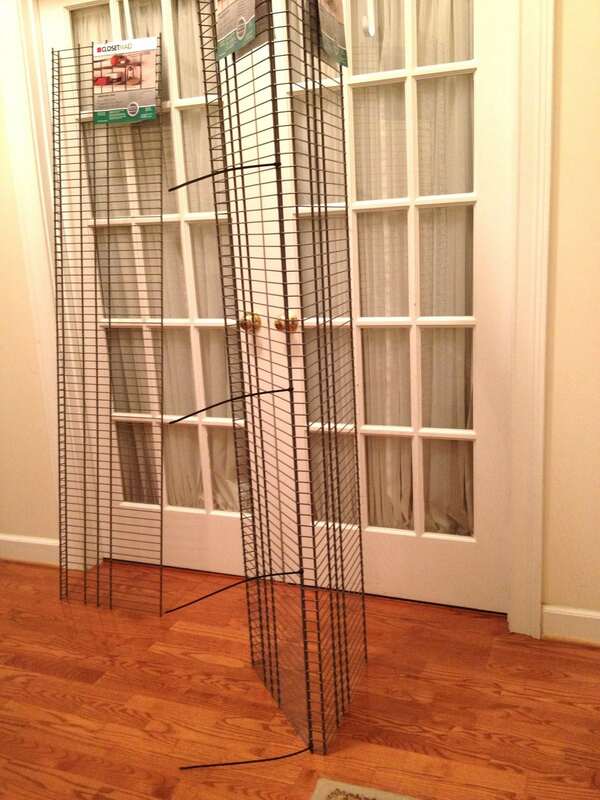 Where can I buy the Closet Made shelves? to the craft show. How are you doing that?